For the contemporary who does not wish to stray too far from tradition, this design marries classic and current resulting in a stunningly sleek masterpiece. 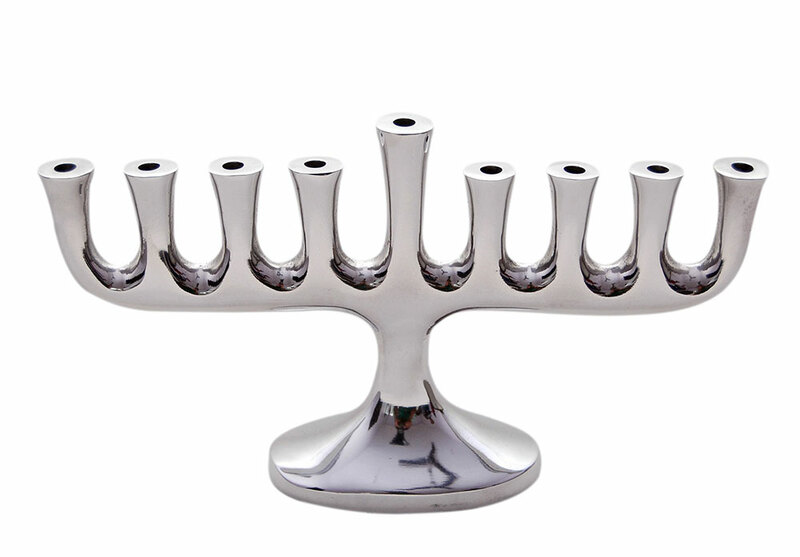 Made from solid weight aluminum and measuring 11" x 6" this modern Menorah with its high polish finish accommodates all standard Chanukah candles as well as oil cups. Designed exclusively for Zion Judaica, and will work well in any setting.